Apr 6th 2019 @ Rockbar Inc. Going to be a crazy night in Scottsdale Doors at 7. 10$ at the door. When its full, it’s full. American Longspurs kick things off followed by Drew Cooper. 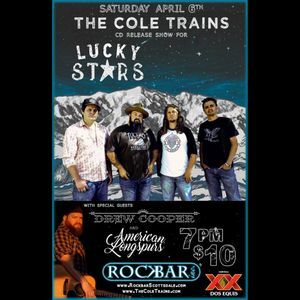 The Cole Trains w/ some special guests will play a whole mess of new tunes!